The future of microCHP is a bright one. Leading companies in the UK’s microCHP sector have set out a bold strategic vision for the role microCHP systems will play in the economy. Many industry professionals feel it is likely to be a key component of an emerging ‘smarter energy’ environment and this theory has been echoed in a recent report produced by Ecuity Consulting LLP. The report sets out how this emerging family of technologies could revolutionise home heating and gives suggestions for a support framework to allow consumers who have a heating system that also powers their house, be rewarded for the full value they bring to the nation’s ailing energy system. One of the key benefits that microCHP systems help deliver, is to relieve the pressure on the national grid and bridge the gap created by our ever-growing energy requirements. The support framework that is required to bring this technology to the mass market is increasing rapidly. Japan is leading the microCHP deployment race, spurred on by its current ‘energy crisis’ directly linked to the drastic reduction in its nuclear generation capacity. Their government has backed a ‘visionary’ scheme to put microCHP boiler units in over 30,000 homes, which has led to a 25% energy unit price reduction between 2010 and 2012. Similar cost reductions could be expected in the UK if we adopted the same strategy. This means that support for microCHP boiler units, when combined with rapidly falling production costs, now makes economic sense. Sales of future mCHP units will be dramatically increased if assisted by governments at all levels. If the government chose to further incentivise the purchase of mCHP boilers or increase the feed-in/generation tariff for microCHP appliances from 12.89p/kWh to something closer to wind and solar tariffs (20-21.65p/kWh), uptake would increase dramatically. “Micro CHP should be able to reach the parts other low-carbon and renewable energy products cannot reach. As a direct replacement for the domestic gas boiler it is a convenient technology to install. However, this means it is competing with the gas boiler in a market dominated by price. If the UK want this technology and all the benefits it brings, it must provide enough support to lower costs enough in the short term until economies of scale kick in”. Ian Manders, Deputy Director & Head of Development of the Combined Heat and Power Association. Fuel cells for microCHP – The future? 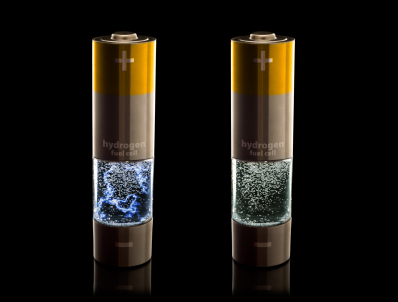 Leading car manufacturers are currently researching and developing fuel cell cars that replace petroleum with hydrogen to create power. Honda, Toyota, Hyundai, BMW, GM and Nissan all have development models or ‘working fuel cell engines’ currently under production. In fact Europe already has 85 hydrogen fuel stations for these vehicles. If a vehicle is powered by pure hydrogen then the only emission/by-product will be heat and water. Zero-emission vehicle (ZEV) programs that support battery and fuel cell solutions are gathering momentum with governments across the globe. As an example, governors of many major American states have agreed to a collective target of having at least 3.3 million zero-emission vehicles on the road in their states by 2025 and to work together to establish a fuelling infrastructure that will adequately support this number of vehicles. The stumbling block is finding the financial backing, taking into account the vast capital it will require to build the infrastructure needed for this wide scale implementation. More information on fuel cell vehicles can be found here www.fueleconomy.gov. 150,000 Fuel cell vehicles on our streets could save up to 75 million gallons of petrol a year and 2.4 million barrels of oil. They would also save up to 12 million tons of CO2 emissions during their lifetime.